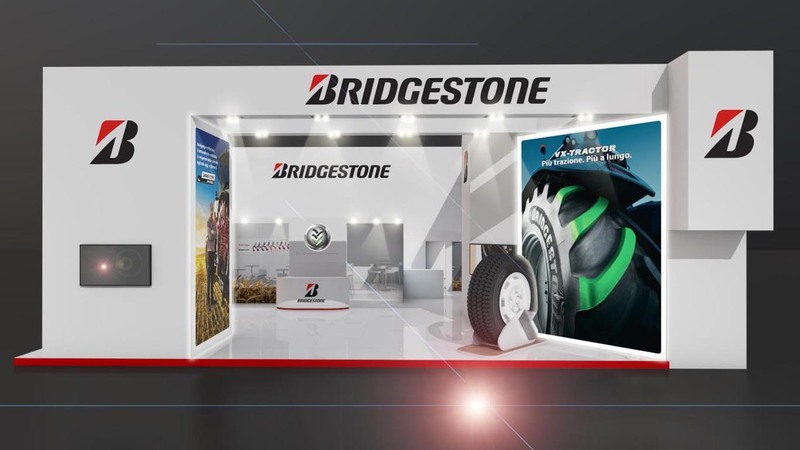 Bridgestone is returning to EIMA 2018, the international agricultural and gardening machinery exhibition. Running from 7 to 11 November in Bologna, Italy, EIMA Bridgestone will be unveiling their latest addition, the Bridgestone VX-TRACTOR. The latest addition to the Bridgestone range will be the centre piece at their stand (Pavilion 36 – Stand C9. “The Bridgestone range of premium VX-TRACTOR tyres is designed for optimum performance both in the fields and on the road. It combines a high load capacity with excellent traction and durability,” says Mark Sanders, Head of Sales AG, Bridgestone EMEA. Designed at Bridgestone’s European R&D Centre in Rome and produced at Bridgestone facilities in Spain, the VX-TRACTOR has been built to perform. With resistant casing and long, deep bars, it combines exceptional traction with an extremely long service life. It first hit the shelves in a variety of different sizes in October 2018.